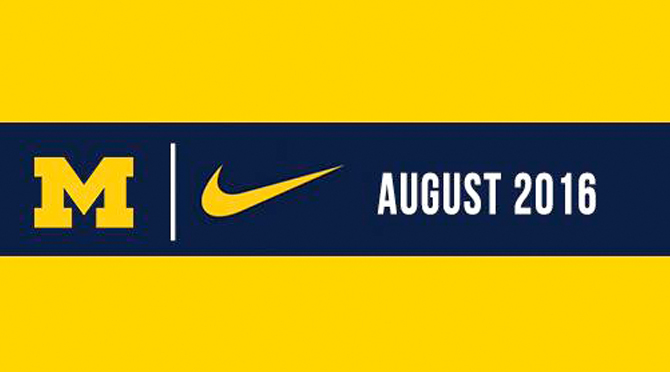 Nike's new deal with the University of Michigan, set to begin in August, 2016, is a massive one in terms of cash compensation. Details of the agreement were made public today, and the Oregonian has broken down just how much money Michigan is getting. Nike will pay the University of Michigan a lump sum of $12 million, along with yearly payments totaling $76.8 million over the course of the deal. The Oregon sportswear company will also provide the university with $80.2 million worth of apparel over the course of the deal. The Portland Business Journal's Matthew Kish posted the term sheet in its entirety. The document is embedded below for anyone interested in the nuances of Nike's new partnership with Michigan.